How do you monetize and what mobile app monetization strategy should you add into your app? You have invested a lot of time and resources into creating a powerful mobile app for your business and the mobile app has been accepted by your customers, which is more than you expected. Now you have a dedicated business mobile app, which will allow you to connect, learn about, and get to know your customers. You will also be able to test new sales and marketing channels for every campaign, and boost your brand awareness. However, you can step-up the game and improve your mobile application – you can turn it into an additional revenue stream, with different mobile app monetization models. Here are top ways to monetize mobile apps and transform them into money-making machines. Mobile games and streaming apps increasingly use the freemium model to introduce their apps to the masses. The apps can be downloaded from the app stores for free, but to access a full set of features, users need to upgrade to the paid app version i.e. they can either spend real money on virtual goods, or they can subscribe. In order to make progress in games, users constantly need to level-up, in order to acquire new resources, attack other players or train to get rewards. However, the freemium model always includes “timers,” where users get a power-up every few levels, or within a specific time-span. To progress more quickly, users can exchange real money, to boost and speed up their progress. The amount of revenue is astonishing: In order of popularity, Clash of Clans earned $1.5 million a day and Pokémon Go was the first app to generate over $600 million since their launch. Spotify and Evernote offer a free version of their apps, but one needs to subscribe to get access to its full features, such as high-quality audio, ad-free version, offline mode, sync across multiple devices, and a lot more. Premium apps require users to pay for an app before downloading, or even trying it. The general rule for adding the paid app to the app stores is to have unique features, or, if it is a high specialized app, to target a specific niche audience. The majority of users will be able to download the app; however, due to its specific features and complex functionality, they might have a poor experience, which may result in a bad review. According to the Gartner forecast, and based on a number of free and paid mobile app store downloads worldwide between 2011 to 2016 (in billions), download figures for paid mobile apps are projected to reach 14.78 billion by 2017, while free apps are projected to reach 253.91 billion. In-app purchases are usually used with the freemium business model. Apps are freely available for download, however, users do have the ability to buy virtual or physical goods in exchange for real money. While this method has been implemented in the majority of game apps, shopping and e-commerce apps have also implemented an in-app purchase. This gives the users the opportunity to buy directly from the app, which not only reduces the sales cycle, but gives an opportunity for businesses to implement and track their sales campaigns faster. In addition, buying directly from the app creates a unique shopping experience and shops like ASOS, or marketplaces like Etsy, are perfect examples of well-implemented in-app purchases. 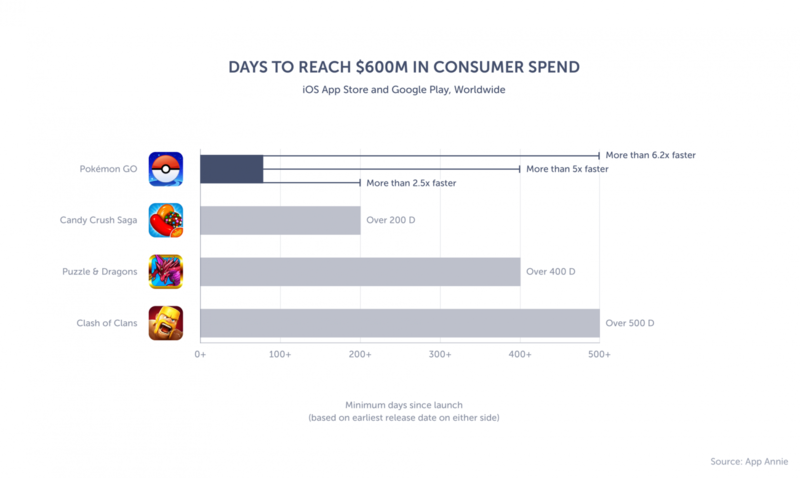 Statista projects that the total global sales from in-app purchases will reach approximately $37 billion by 2017. In the past, the subscription business model was established and mastered by newspapers and magazines. In recent years, different types of businesses have introduced their own subscription business models. These models are not limited to the industry or to the products and solutions that businesses offer. The online learning platform Lynda and Dollar Shave Club are perfect examples of this. In the mobile app world, this model presents a hybrid of premium and freemium. As we have already mentioned, newspapers are the pioneers of this type of business model, even in the mobile app world, and The Economist has applied this model perfectly. The business model behind it is to offer the app for free, but in order to access its full content, users need to have an active subscription. Once the app is installed on a user’s device, it offers a glimpse of the available content, in order to “hook” users and encourage them to subscribe. Marvel Unlimited is another example. The app offers dozens of comics that are selected free-of-charge by editors, but the majority of content users without the subscription, can only view a sample of them. Non-newspaper apps have also applied this business model, and an excellent example is Lumosity, a brain training app. Lumosity offers two types of subscription, with either a monthly subscription of $11,99, or an annual subscription of $59,99. The key to the subscription monetization strategy is to provide new and fresh content to users on a daily, weekly or monthly basis. If the app does not provide value by means of new content and features, there is no reason for them to keep the subscription active. According to the Branchfire mobile study, 49% of app users are willing to pay a monthly subscription, while 39% of them are willing to pay for streaming TV/movies apps. Mobile in-app advertising is one of the most used ways for app monetization and it is usually used by free or freemium apps. The most common way of mobile advertising in the app is via the ads banner, although users usually despise this type of advertising. However, if the app is receiving a lot of traction in the app stores, ad banners can be a real money-making machine. Remember Flappy Bird? The game earned $50,000 a day from in-app advertisements. Ad banners can be a great way for monetizing mobile apps; however, there are few conditions. Firstly, they must not be intrusive to users and may not, in any way, disrupt the user experience. Secondly, the type of ads you want to display to users must be chosen wisely. All non-relevant ads should be ditched, as the risk of a poor experience is almost instantly guaranteed. Different ad networks, like MoPub, AdMob, and DFP, collect user data and, based on this data, claim that one should display only relevant ads, to improve the overall app experience and to deliver good campaign results. If you do not want to risk using ad banners and bad UX, rather switch to native advertising. The format of the native ads allows for ads to perfectly blend in with the content of the rest of the app, as well as other design elements, which provides a non-intrusive way of displaying ads. According to data from Polar and BI Intelligence, the average CTR rates for premium native ads on mobile devices were more than 4X higher than the average CTR of traditional, non-native display ads in the United States. While they are not used on a large scale, sponsorship and partnership app monetization models are the right way to monetize your app. This model requires the partners to have a similar target audience or complementary service that could initially spark the interest of a partner’s audience. This model works in the same way as when advertisers buy ad space on websites. Instead of serving random ads to your users, you can offer ad space and top listings in different categories to advertisers, which will potentially interest your users in the goods and services that they provide. This type of promotion uses multiple formats, from an ad banner, native advertising, special sales promotions, discounts, etc. Epicurious, a gourmet recipe and shopping list app, partnered with Campbell’s, to focus on branded recipe collections and search listings. Another successful example of two services joining forces, to provide new insights and data for customers, is the partnership of Localytics and Optimizely Integration, which has delivered winning app experiences. Multiple app monetization options are available, from which app owners can choose. The decision of which one to implement should depend on the company’s business model. While the ROI on your app investment should be positive, it is very important that you do not become captive to short-term app monetization goals. The first thing on your mind should be to provide value, to give the best possible user experience and to keep users engaged; if you are able to achieve all these, app monetization will be your newest and latest concern. Ignoring the shift from computers to mobile devices greatly affects your business. 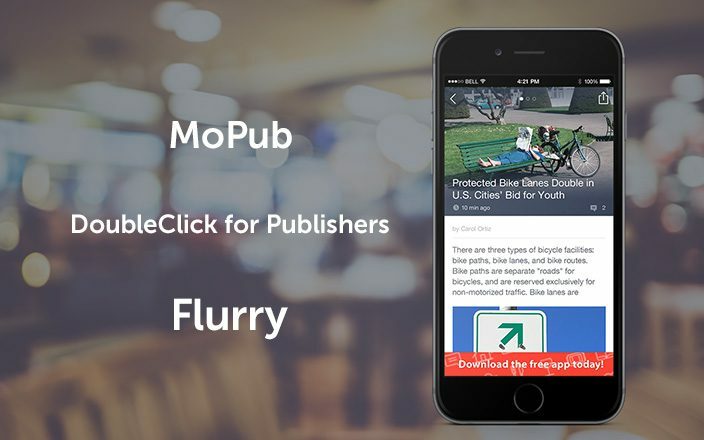 Use mobile advertising to diversify revenue streams through your Shoutem app via our in-app advertisement integration with MoPub, DoubleClick for Publishers (DFP) and Flurry; and here’s why you should do it.